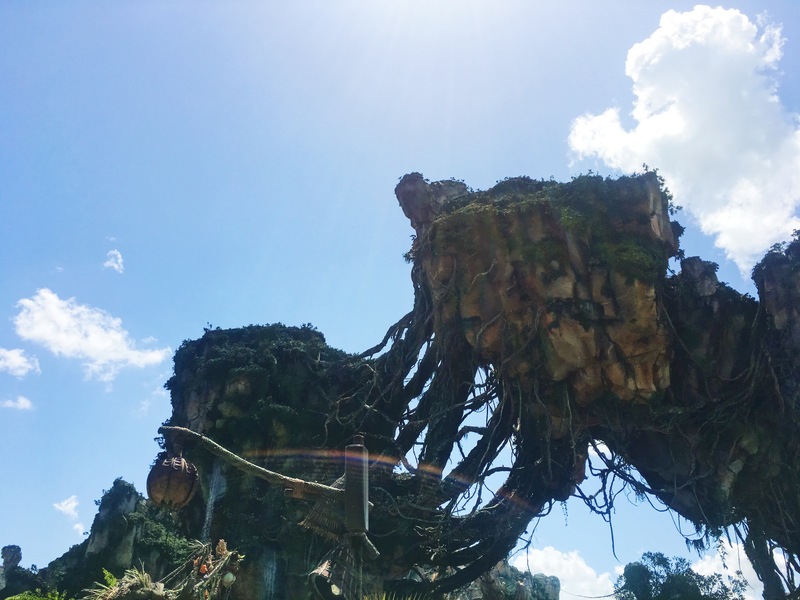 Here I am, fifty-three days post Disney trip, settled into my new apartment, anticipating the start of graduate school, and I am finally, finally sitting down to write about Pandora: The World of Avatar at Disney’s Animal Kingdom. My obvious, general thoughts first: I loved it. It was so cool. I want to eat cheeseburger pods and root vegetable chips every single day for the rest of my life. Now some specifics. 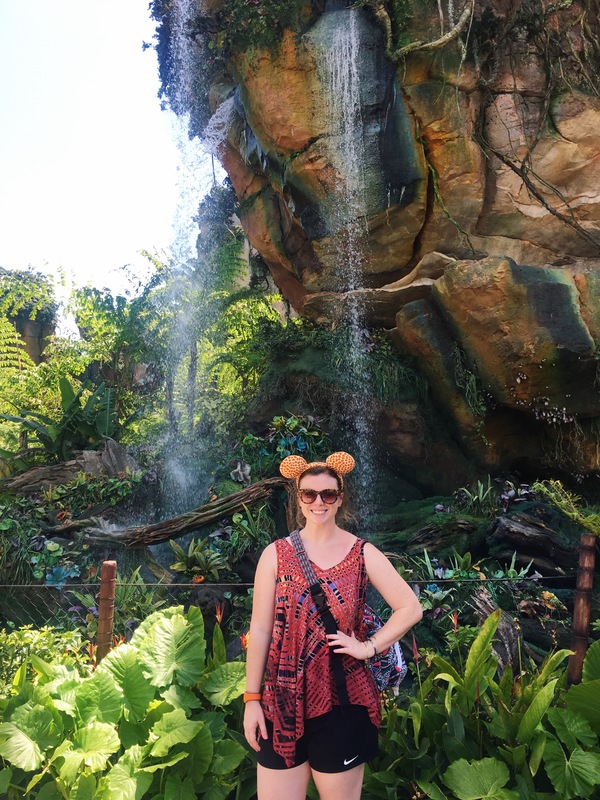 Pandora is one of the most incredible things I’ve set eyes on at a Disney park–lush, green floating mountains looming before and above you, cascading waterfalls, florescent flora and fauna. 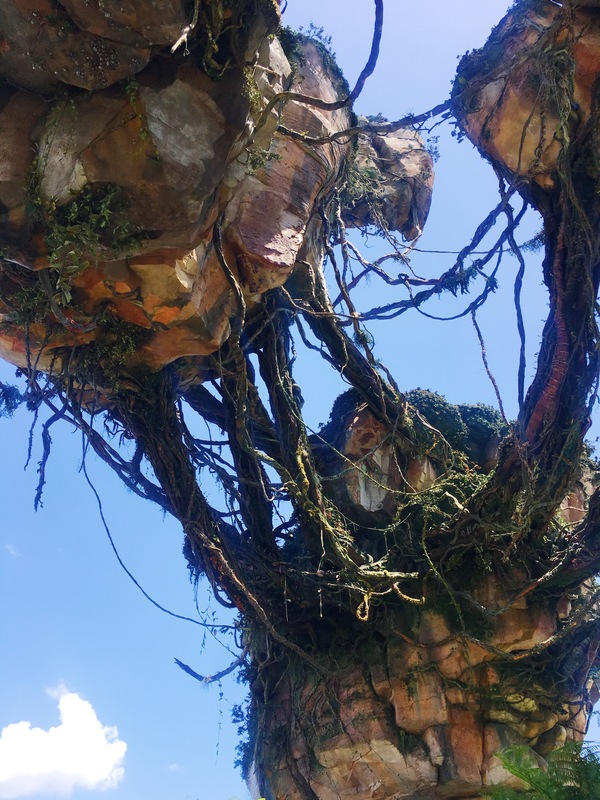 The transition from Discovery Island or Harambe to Pandora is seamless–it’s as if Pandora has always belonged to Animal Kingdom, it’s like it’s always been there. The attractions, guys. They are incredible–sincerely two of the most advanced, immersive experiences I have ever encountered. The Na’vi River Journey was stunningly beautiful; I was only able to experience this attraction once on my trip, but it did not disappoint. 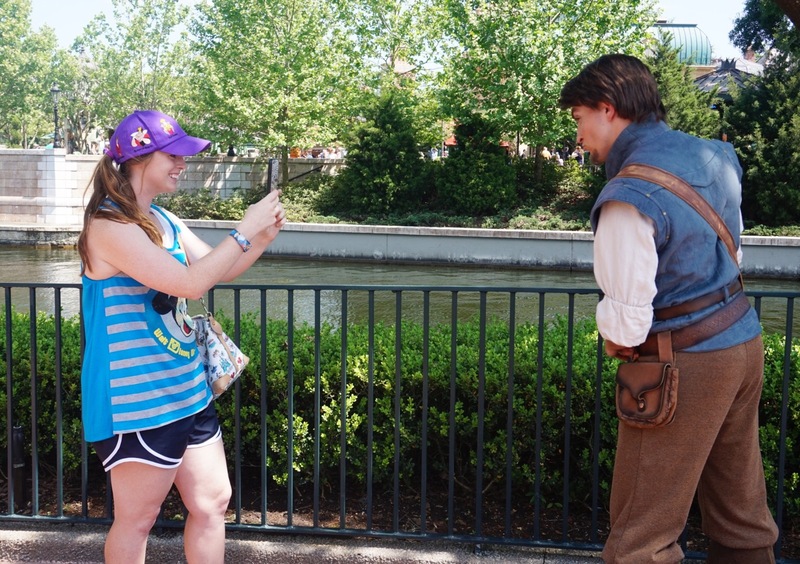 If you’re a Disney fan reading this blog, you’ve probably seen countless Snapchats and video of the animatronic figure that guests encounter on this attraction. 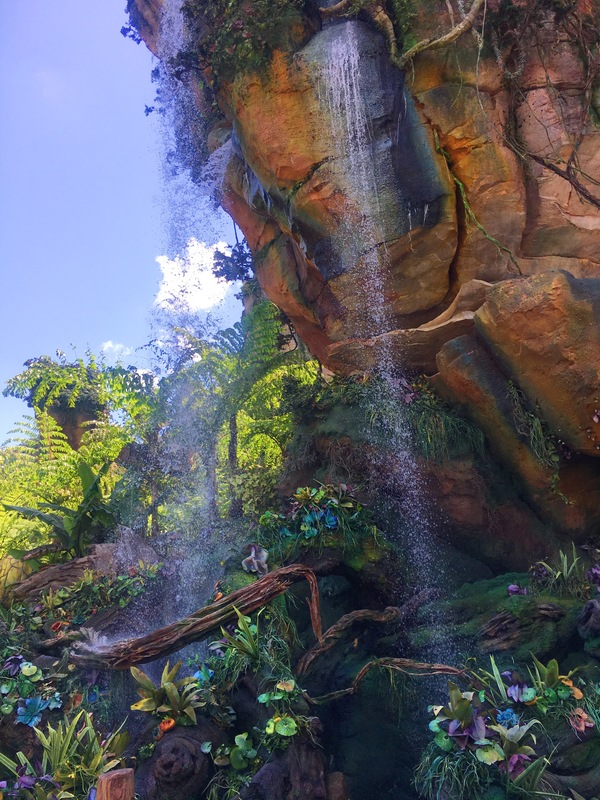 And if you’re not an avid Disney fan and just read my posts for the heck of it (thank you), please open a new tab, type something along the lines of “shaman on the Na’vi River Journey in Pandora in Disney’s Animal Kingdom” in your search bar. I’ll wait. Good, isn’t it? Really good. Disney imaginears never fail to inspire me with their innovations. Now. Let’s talk about the star of the Pandora show, Flight of Passage, the most INCREDIBLE attraction I have EVER been on. All caps are NECESSARY. Minor spoilers are ahead, so skip a few paragraphs if you want your first time experiencing this attraction to be a complete surprise. Avatar link is complete, you are transported to the remote outreaches of Pandora and are flying on the back of your banshee. You feel him/her breathing beneath your splayed legs. You feel and smell sweet Pandorian wind as you dip, dive, and swoop. You see some of the most beautiful visuals–the floating mountains, other worldly creatures, forests, oceans, and more. The experience is truly incredible. I think I’ve used the word “incredible” fifty billion and a half times in this post. The bottom line: Flight of Passage is the most thrilling attraction I had ever been on–I wanted to do it again and again and again and again…so on and so forth. After my ride through scenic Pandora, I had an overwhelming feeling of possibility. Anything is possible. People–human people, not superhuman Na’vi–created Flights of Passage with their own brain and will power. We, mere guests, were (are) able to experience something so amazing because someone–some people–had the gumption to sit down and figure out how to make it happen. That notion blows me away. One of my favorite aspects of the attraction is the smattering of Na’vi vocabulary. My favorite Na’vi phrase is the title of this post: “sivako.” In the native Na’vi tongue, this phrase is equivalent to the English phrase “rise to the challenge.” Our Na’vi guide on the attraction urges us to do just that–with a shrill “Sivako!” we dive (alarmingly and wonderfully fast) into a lush forest laden with dangers and surprises. You passively rise to the challenge on Flight of Passage, but once you experience this attraction, you long to actively “sivako” in your daily life. 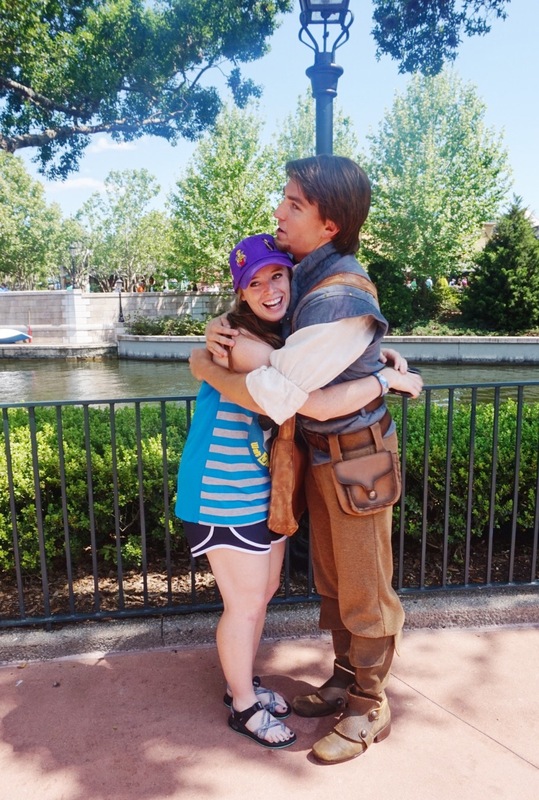 Because I experienced the magnificent result of creative brain and will power of Disney imaginears and storytellers, I desperately want to make something–to write something–that has an impact on someone as Disney imaginears have made an impact on me. In short: I urge you to make plans to experience this world in the next few years. It’s worth it. So, so worth it. “Sivako,” my friends. I hope you rise to the challenge today and every day. In the meantime, I’ll start anticipating my return to Pandora and to my banshee, who I lovingly named Bertha. I just love alliteration. Jambo, everyone! I hope you are having a magical day. If you’re not familiar with Swahili, “jambo” means “hello.” I was fortunate enough to say a hearty hello to Walt Disney World for six days last week for vacation. Oh my goodness, guys. We had a blast. Disney’s Animal Kingdom Lodge, to put it simply, is the most gorgeous place on this planet. This statement might come across as a teeny hyperbole, but I don’t even care. If I ever become a Disney Vacation Club member (#goals), this resort will be my home. I began my stay at the lodge by attempting to capture everything with my hand-me-down DSLR camera, a camera that’s been in the family since about 2006. It’s still goin’ strong, and I think it did a fantastic job documenting my stay at the lodge. You’ll find some select photos in this post, and don’t hesitate to call National Geographic and suggest me and my skill set for an all-expenses-paid African photo safari. If you’ve never been to DAK Lodge, you might not know that it doubles as a top-notch zoo. Select rooms look out onto a savannah littered with giraffes, ankole cattle, types of gazelle, ostriches, zebras, the common Disney duck, and so much more. The back of both lobbies (Kidani Village and Jambo House…we stayed in the latter), lead out onto observation areas where helpful animal guides talk about the animals and are open to discuss their own culture. Every single guide is on an cultural exchange program at Disney; they are originally from Africa and are there to work for a year or so. My mom and I once had the most incredible conversation with a guide from Botswana. Because of this unique experience, I was swayed to purchase a wooden giraffe mask from the gift shop, perfect for the Animal Kingdom-inspired gallery wall going above my bed in my new apartment. I just couldn’t resist. After Allyssa (DCP BFF) got off work, we checked in and headed to our room. 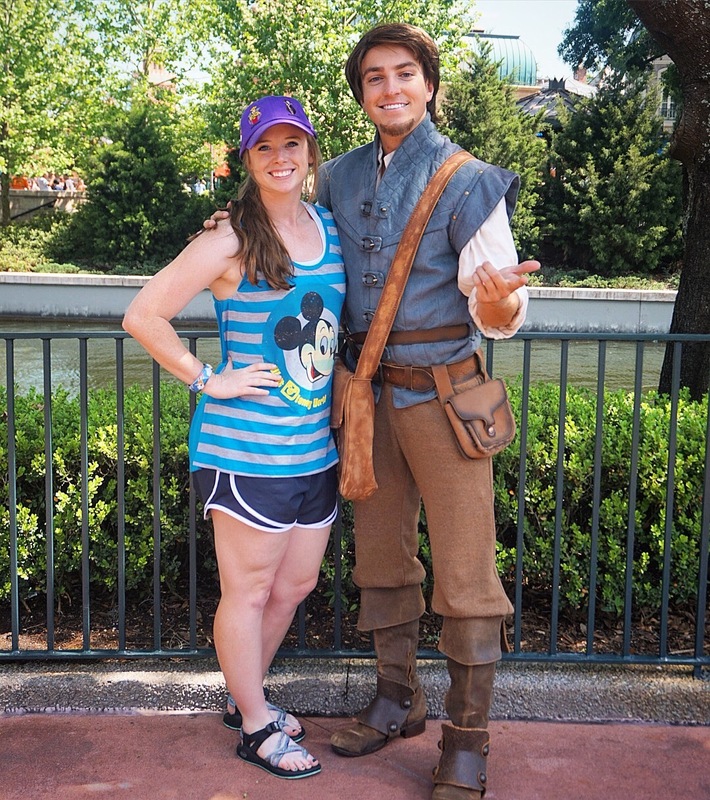 Do see a Disney friend embroidered in the dreamy fabric? Friends from The Lion King were scattered throughout the curtains, and I internally screamed. We ended our evening roasting marshmallows in the observation area (free for all guests; ask a cast member for times), dining at the Mara, the quick service restaurant, and watching the sunset from our savannah view room. The experience was something out of a Walt Disney World ad–the sky was a brilliant red-orange, giraffes and zebras moseyed tangibly close to our vantage point, and Allyssa and I were reunited, anticipating a busy week of park hopping. I was so happy, and I’ll cherish that moment forever. We checked out the next morning after a wonderful breakfast from the Mara. I never really checked out of the lodge, mentally. I’m always daydreaming about my stay at Disney’s Animal Kingdom Lodge. Kwaherini (“Go well”) for now, friends. I’ll leave you with some more shots of the lodge–maybe they’ll fuel your sense of adventure and spark an appreciation for this beautiful planet we call home. Maybe you’ll just call your travel agent. Either option totally works. Below is a little poem I wrote about my favorite place, my magic place. 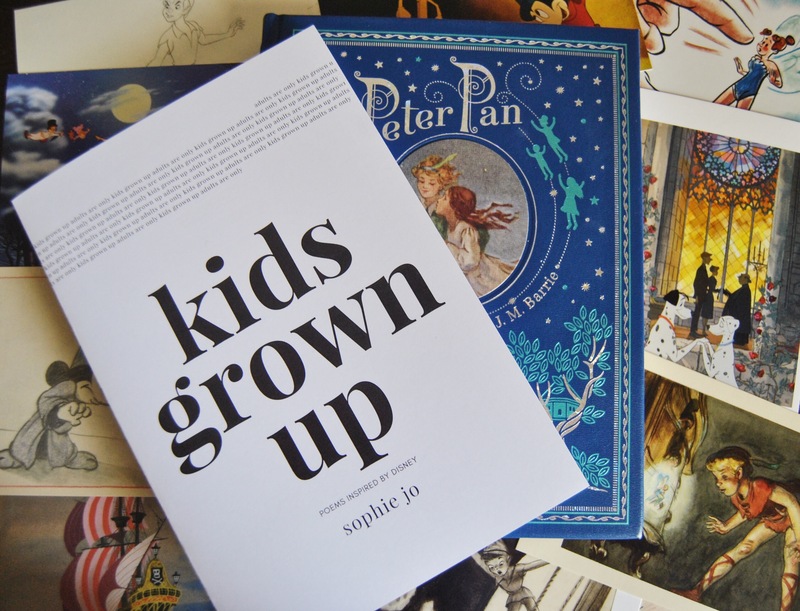 Thank you for reading, and have a magical day. that melts the features of my face. and it’s the post rope-drop race. those moments will never die. where briar patches become home. one more soul to cease to roam. blessed with eyes, a nose, and ears. A fleeting second, captured by tech. she bids farewell with a delicate peck. she’s met her hero, he’s met his. I’m just like those teeny tots. mouse ears and red polka dots. I don’t hide behind a stoic mask. are today’s only required tasks. and strike a classic princess pose. They feel the magic. They just…know. within me…and also in you. to the real world, to reality.